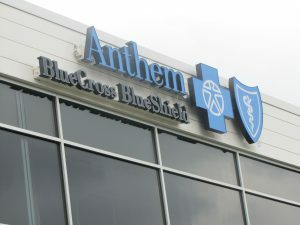 Anthem Inc. (NYSE:ANTM) has announced that it is exiting more Affordable Care Act markets. The company has already announced it is withdrawing from Ohio, Indiana, Wisconsin, and much of California. Anthem is providing Affordable Care Act polices in 14 states this year. The company is pulling out of Nevada’s Affordable Care Act exchange for 2018. The approximately 22,000 Anthem consumers in the state will have coverage for the rest of the year and will be transitioned to similarly priced plans when their current coverage expires, according to Nevada HealthLink. Nevada Insurance Commissioner Barbara Richardson said that she is “disappointed” in Anthem’s decision. In its statement, Anthem said only one off-exchange catastrophic medical plan will be made available in Nevada. The Nevada Division of Insurance says that catastrophic plans are restricted to low-income residents and residents under 30. Competitor Aetna has announced that it decided not to enter the Nevada market after initially filing to participate. Aetna also announced earlier this year it was pulling out of its four remaining states. Carriers have until August 16 to revise their premium requests and until September 27 to sign contracts for 2018. Anthem is also reducing its presence in Georgia’s marketplace by roughly half. Anthem will remain in 85 mostly rural counties in Georgia where it is expected to be the sole carrier in 2018. Anthem specifically notes that no counties will be left without at least one other insurer. Carriers have become increasingly concerned about participating in Affordable Care Act with all of the uncertainty about the program emanating from Washington D.C. The health care exchanges were formed under former President Barack Obama’s signature health care law. Republicans and Democrats in Congress remain at odds over whether and how to revamp the law. The Senate recently failed on the GOP’s years-long campaign promise to repeal the law.